After 8 Serie A games and 2 Champions League encounters, Juventus have managed to achieve an absolute of 10 wins. Moreover, I Bianconeri have currently a 13 goal difference in the Serie A (18-5) while in the Champions League, they are yet to concede. These seem to be mere indications of what is to be the greatest Juventus after the Trappatoni era. Ronaldo's show with 4 goals and as many assists in the Serie A played an integral role in breaking the club's record of the best beginning in the season. After 10 games across all competitions, Juventus remains unbeaten and haven't drawn even a single game, for the first time in the club's history. 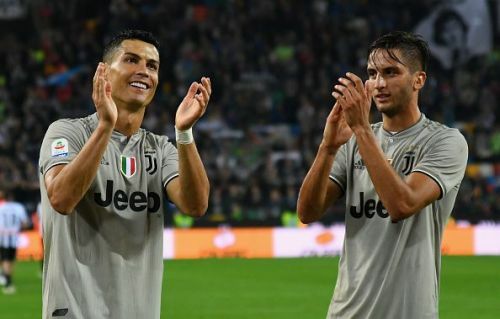 Since the start of this season in Italy, Juventus have managed to emerge victorious against Chievo, Lazio, Parma, Sassuolo, Frosinone, Bologna, Napoli and lately, Udinese. These 8 wins out of 8 games consist of another two records for the Old Lady, besides breaking their own. 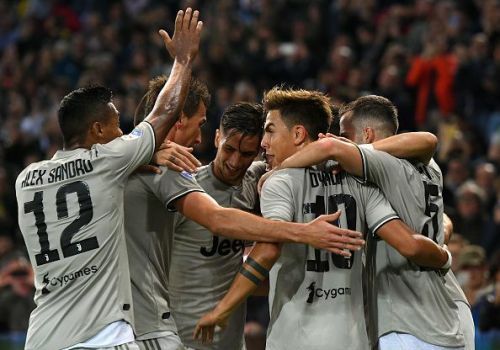 Firstly, according to Football Italia, following the win over Udinese, Juventus became the only 6th team in the history of the Serie A to win all of their first 8 league encounters. This is the fourth time Juventus has matched this record after doing so in 1930-31, 1985-86 and 2005-06. The other two teams that have managed to make the 8-win-streak are Roma in 2013-14 and Napoli last season. The records for the current Juventus team do not stop there. Juventus is currently the only club among the 5 greatest European Leagues to win every official game so far in the season and the second, with Borussia Dortmund being the other, to remain unbeaten in all competitions. It is said that statistics usually tell the truth and as far as this season's Juventus is concerned, this seems to be the case. As the Gazzetta Dello Sport claims, Allegri's men have so far created 125 attacking chances in the first 8 league games (an average of 15.6 per game). This is the best performance among Serie A clubs this season as Napoli has created 114 offensive opportunities, Roma 107 and AC Milan 102. Juventus' excellence in creating scoring chances is supported by a formidable, solid defence. After their first 8 league games, I Bianconeri have managed to limit the shots towards their net to 72, Serie A's best so far. In comparison, Napoli follows with 78 and third is AC Milan with 80. The Old Lady is also the league's very first with regards to ball possession (61.9% average), successful passes made (4277) and pass accuracy (88.8%), according to the Italian RMC Sport Network. It is more than true that Cristiano Ronaldo's performances overshadow displays of other exceptional players. A prime example is Joao Cancelo. The newly-arrived Portuguese has developed as one of the best players in the field for the Old Lady who seems to have found in his face, a full-back with great defensive and offensive qualities. 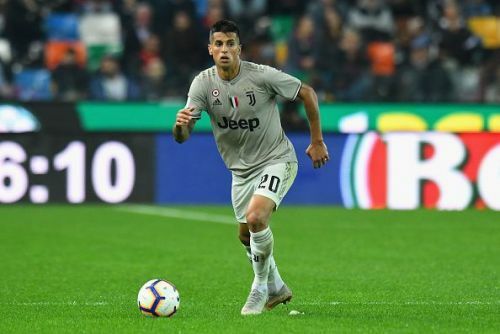 In fact, Cancelo is currently second in the league for the most successful dribbles (17), only behind Fiorentina's Federico Chiesa. As Fox Sports argues, no defender in the league has created more for his team than Cancelo. Against Udinese, he ended the game with a 90.8% pass accuracy and created at least 5 attacking situations. Last but not least, after the first 8 Serie A turns, the Portuguese defender is the league's first with regards to chances created by a defender (14) and the third among Juventus players, only behind Ronaldo (16) and Pjanic (18). Cristiano Ronaldo, apart from being the top assist-man in the Serie A (4), has the driver's seat with regards to shots (61) and shots on target (26). He is also the only player to never miss a minute thus far in the league for Juventus. Of course, numbers are numbers. But in the case of Juventus, they tell the absolute truth. The Old Lady is by far the best team in Italy and her shows are the most consistent as well as entertaining among the greatest European leagues.